Mobile World Congress 2014 ended yesterday with varieties of new gadgets being introduced. Here is a compilation of the top 5 Gadgets unveiled at MWC that captured the most attention by the crowd. 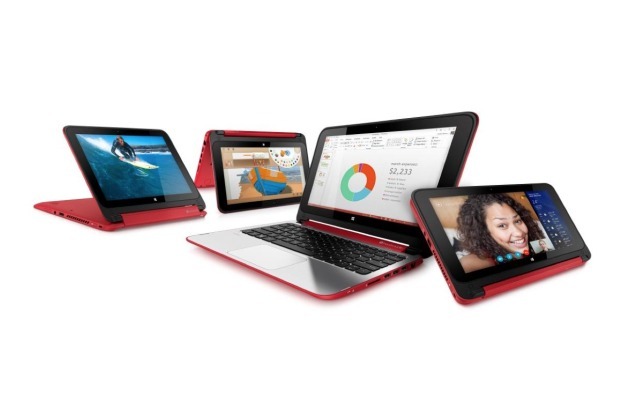 HP showed us a 360 degree convertible PC at MWC 2014, a hybrid which allows users to convert from laptop to tablet easily. Weighing just over 3 pounds, the laptop is equipped with an 11.6-inch diagonal high-definition (HD) SVA display, Intel Pentium processor and an HP TrueVision HD webcam. In addition, the hybrid computer — aimed at Millennials — sports up to 8GB of RAM and a 500GB hard drive. 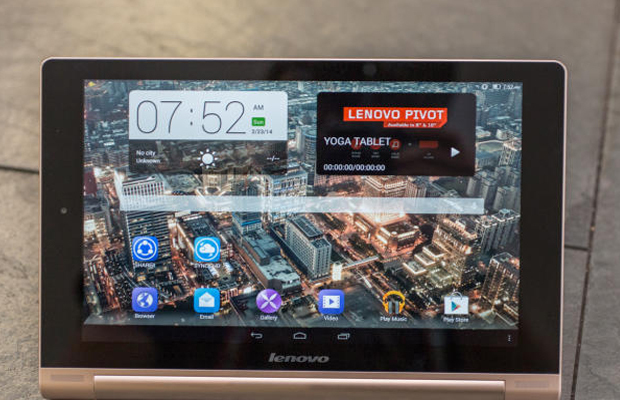 Lenovo wasn’t a silent party at this years’ Mobile World Congress, choosing the venue to showcase a new Yoga tablet model. The Yoga Tablet HD+, now available in silver or champagne gold, also sports a new 1,920×1,200 full-HD resolution screen, up from the previous model’s 1,280×800 display. In addition, Lenovo says you can squeeze up to 18 hours of battery life out of the tablet. The Yoga runs on Android 4.3, is equipped with a Qualcomm Snapdragon 400 processor with quad core CPU, and has a new 8MP rear camera. A longer and redesigned kickstand allows you to use the tablet in three different modes and settings – Hold, Tilt and Stand. Prices start at $349 and will be available in April. Schneider Optics showcased interchangeable lenses now compatible with a long list of devices. 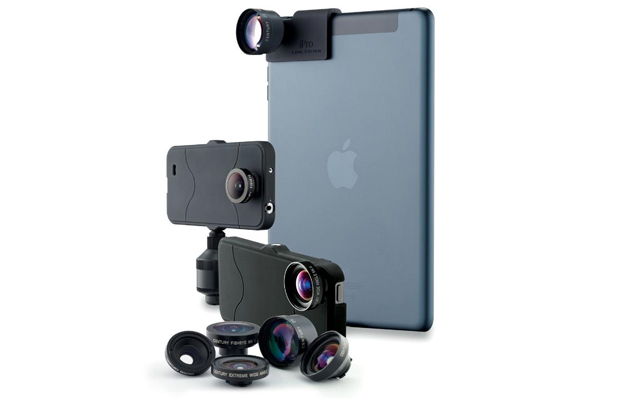 The iPro Lens System range, a set of interchangable lenses — Macro, Wide Angle, Super Wide, Fisheye, and Telephoto — has now been expanded to include the iPhone 5, 5S, and 4/4S, as well as Samsung Galaxy S4, and current iPad models. Schneider Optics says that a new clip fits the latest models of the iPad Mini, Air and iPad 2, allowing you to fix the lens on the back without damaging your tablet. 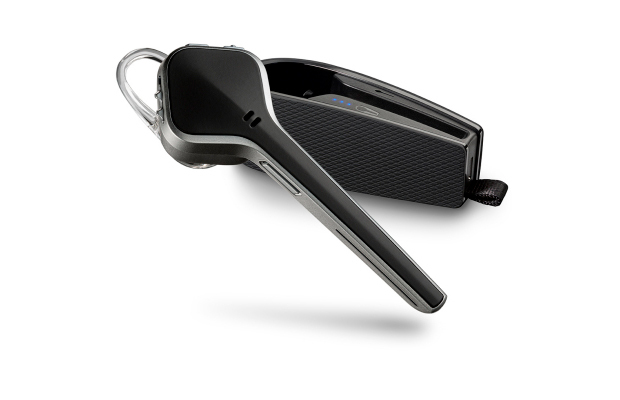 The Plantronics Voyager Edge is a Bluetooth earpiece for talking on the go. The new design includes smart sensors for answering calls through voice activation or placing the tech within your ear, noise cancellation, a portable charging case and an option of three different colors. The Voyager Edge will be available from April. For some, the advance and rising complexity of mobile devices are little more than an irritation, especially if such a gadget is only wanted in order to take phonecalls and send text messages. If someone in your family has these needs, perhaps the Yezz Andy AZ4.5 is worth a try. 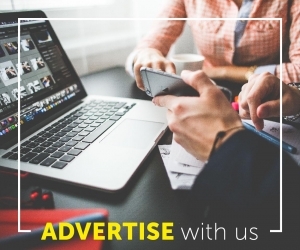 Powered by a dual-core 1.2GHz processor and running on a tailored version of Android, the smartphone features large icons and a voice assistant. 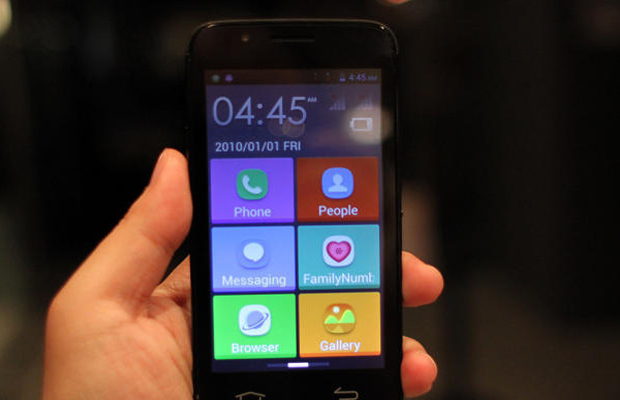 In addition, the smartphone has an SOS button located at the back of the handset for emergency use — and can be changed within the phone’s settings to call an emergency contact or send out text messages if pressed. Available at the end of March worldwide, the phone will retail for roughly $250.